The Secret Space Program has landed on and entered Oumuamua, the mysterious cigar-shaped "asteroid" that NASA announced in December. What they found was a technological wonderland that they estimate to be over a billion years old -- from what insiders call the Ancient Builder Race. This stunning "homecoming" is only one of a series of events that transpired in the world of the Secret Space Program as of December 2017. That same article debuted another long-term insider who has been quietly passing me intel for ten years -- Emery Smith. We formally announced his debut episode on Cosmic Disclosure to the world on Christmas Day, after a "soft launch" of the episode had occurred the week before. These events only further seemed to confirm that "someone" -- namely the Deep State -- very much did not want him to come forward with this stunning intel. Sadly, a very similar thing just happened to Corey. He was supposed to be going on the air with Jimmy Church last night in conjunction with this article's originally-intended release. Nonetheless, the timing -- and the similarity with what happened to Emery -- is very suspect. Emery is again in a hospital now. Furthermore, I went through the entire storyline in this article and its "big picture" implications in last night's radio show, which I feel is a "must listen" for you to better understand all of this. Despite the super-high technology, in many ways life in the SSP is significantly worse than life on Earth because of this sinister influence. 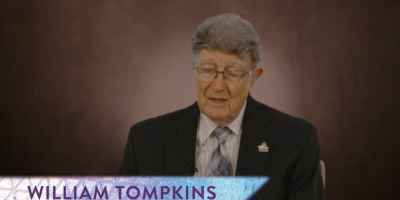 During WWII, Tompkins personally debriefed 23 different American spies embedded in Germany's secret space program, and heard about these malevolent ETs working directly with the Nazis. Corey's intel recently revealed that the Draco are in turn infested with "nanites" of a predatory, malevolent artificial intelligence, or AI. What was referred to in various religious texts as Satan, or "The Adversary," appears to be a vague description of this negative consciousness that will only interface with us through technology. It knows that if it takes upon flesh, it becomes subject to karma and judgment -- and therefore it will only interface with us through non-biological means. Yep. We're waaay down the rabbit hole here, as you can already tell by now. Yet, these stories check out remarkably well among all the highest-level insiders. What you learn "on the inside" is that intelligent civilizations invariably have bodies that are humanlike or at least hominid in appearance. Emery calls this "the five-star formation" -- the head, two arms and two legs. It isn't always this way, but it again is very common. The complex biosphere we see on Earth apparently appears in much the same way on other Earthlike planets. Corey's testimony about the hidden interstellar community around us has gone significantly beyond the clues I gathered from other insiders. They needed an intermediary to do so -- and they chose Corey. The SSP Alliance realized they were dealing with a very significant new ET group. One of the first questions they asked was, "Are you the Ra from the Law of One?" The Law of One is a series of five books, channeled by L/L Research Company between 1981 and 1983. It has formed the basis of my entire life's work ever since I began reading it in 1996. 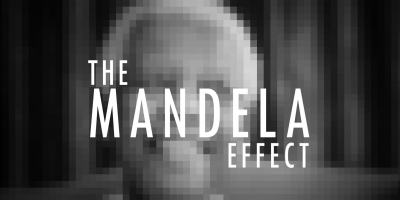 The Law of One was the result of 20 years' worth of research into trying to perfect channeling, after the pioneering work of W.B. Smith proved it could be very accurate under certain circumstances. I was the first person to live in the questioner Don Elkins' room after his death. When I moved in, everything was exactly as it had been ever since he died in 1984. Another surprising determination during this time was that I had figured out a lot more of what the Law of One was saying than Carla had -- even though her voice spoke the words. 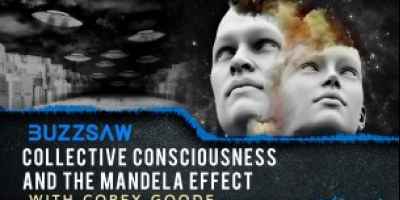 The Alliance knew the only way they could speak to these beings, who called themselves Guardians, was through this person they requested by name -- Corey Goode. When asked "Are you the Ra from the Law of One," the Blue Avian only answered, "I am Ra Tear-Eir." Each answer in the Law of One series begins with the same first three words: "I am Ra." When I asked the same question after hearing all of this, and wanted an answer, I clearly heard "Go outside now" in my mind. A beautiful rainbow over the valley was waiting for me. I had always assumed they would remain hidden indefinitely, and only appear after a stunning quantum leap in our evolution that most people call Ascension. This may not be visible to us, as life can seem to be very depressing and harsh -- but there are much greater forces at play here. Thirty-five different ancient traditions, as compiled by historians Santillana and von Dechend, all predicted we would enter into a "Golden Age" after going through this process. The best of these traditions clearly predict that this quantum leap will be kicked into high gear as the sun gives off an epic flash of bright white light -- much greater than usual. The entire second-to-last season of "Wisdom Teachings" was all dedicated to the many different prophecies we find of this event. The SSP has taken Roswell-type ships out there and have studied this "frothy" cloud in detail, as well as the profound effect it is having on our solar system. The Law of One's perspective is woven throughout all five of the books, and makes it very clear that this will be a profound evolutionary leap for humanity. Everyone else either "graduates," if they are ready, or gets safe passage in a cosmic Noah's Ark-type situation to a new planet to continue in "third density." The people who stay with the Earth end up transforming into "fourth density." You still have a physical, human-looking body -- only at its core it is more energetic and capable. This prophecy of Ascension is also the cornerstone of the major world's religious teachings, including Judaism, Christianity, Islam, Buddhism and Hinduism. This literally translates as being at least fifty-one percent focused on "service to others," meaning that you are a loving, forgiving and compassionate soul. You can be 49 percent manipulative and controlling, or "service to self," and still be able to graduate. At your core, you simply have to be more loving than controlling and manipulative. One of the most important preparations we must go through is getting at least some degree of cosmic disclosure -- about who we really are and what is really going on. Since 2012 was obviously a bust, most people believe that the whole story was 'fake' and has been discredited. Nothing could be further from the truth. The Alliance heard that the giant spheres would "buffer" the transition to make it smoother, and eventually phase out of existence entirely as we got close. That is now happening. The spheres have already just about disappeared. That is just one small part of Corey's latest briefings from the ET side of things. First of all, there are two different SSPs -- the Navy / Interstellar program Corey was in, and the Air Force / MIC program other insiders I know are aware of. As a whole, they were apparently designed for a "Partial Disclosure" scenario, so that the deeper Navy / Interstellar SSP could still remain secret. If the MIC SSP members were questioned, even under torture, they would only reveal what they believed -- which is that they were the best game in town. The MIC SSP people are well aware that our solar system is a "cosmic junkyard" of very ancient, crystalline ruins -- such as domes, obelisks, pyramids and underground cities. This may be one small archaeological clue to support the idea that this civilization had visited Earth during this same timeframe. 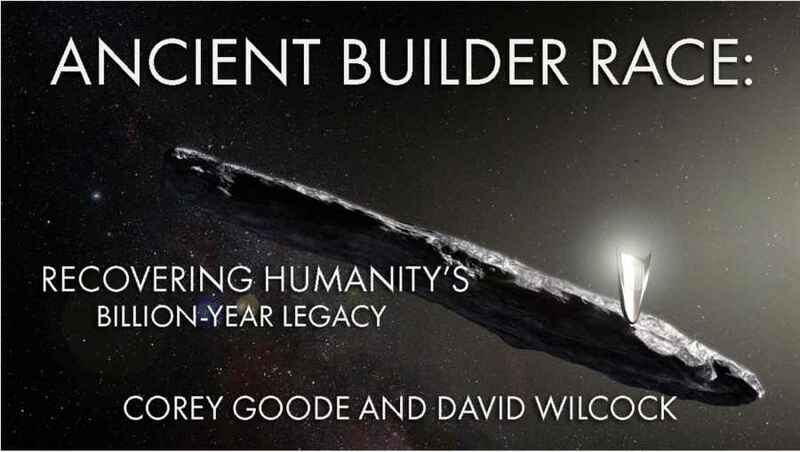 I didn't immediately figure out that Ra was the Ancient Builder Race, but once I did, it answered many different questions raised by Corey's material. The exact timing of Oumuamua's entrance into our solar system does not appear to be an accident in light of what Corey witnessed in December 2017. Let's now dive directly into Corey's latest update. As I said before, at various points I will insert paragraphs of back-story in case you are new to this. DAVID WILCOCK: Tear-Eir is the key being from Ra that Corey has been working with since this all started. DW: The Sphere Being Alliance includes the spheres themselves, as they are alive, as well as five different high-level ET groups including the Blue Avians and the Golden Triangle beings. DW: The Anshar are humanlike beings living in huge cities under the Earth's surface. The Mayans are a group of humans from the Mayan civilization who made their way into space thanks to the ET contact they had at the time. DW: The Super-Federation is a group of at least 60 different ET races that have been tinkering with our genetics on Earth for thousands of years. We will have much more to say about them as we go on. The Draco Federation is an alliance of the evil, reptilian ETs and other groups under their control. DW: The Sentinels appeared as guardians of Ancient Builder Race ruins that Corey allegedly visited on the planet Venus in 2016, as an invited guest. Without warning, I found myself transported by a flash of light to the Mayan Ship, which was somewhere in the Earth's orbit. I found myself in one of the long corridors that I had seen on prior visits. I normally feel an incredible "blissed out" energy while on the Mayan Vessels. This time the energy was very frantic. DW: As we said before, Gonzales was also in contact with the Sphere Beings and was Corey's main affiliate within the SSP Alliance. Ever since he had gone through the "Mayan Healing" I had only seen a smile in his eyes. Now, however, the look in his eyes was one of concern. They were holding either side or "edge" of these devices, and were using them as either a shield or a weapon. He stated that they needed me to walk into the room and let myself be seen. He said "That is all you have to do." DW: The Mayan group specializes in providing healing to the survivors of the trauma from the secret space program and its darkest activities. I saw about a dozen Mayans standing and pointing their weapons towards the other end of the room, where a being was floating inside a containment bubble... about halfway between the floor and ceiling. I then noticed between five and seven Mayans laying on the floor who were obviously dead. Their "stone axe head" weapons were floating about 2 feet above the floor. There was a weird mirage effect that didn't allow me to see his face or eyes very clearly, but I could see that his facial features also looked fairly human. DW: Early in this saga, Corey met the commander of the Draco empire, a 14-foot-tall white-colored being. It did very similar things with its eyes, and this had a terrifying hypnotic effect. This being jerked its head over in my direction and started addressing me by the name the Blue Avians call me, "Raw-Hanush-Eir." It got to the middle of "Hanush" when there was a loud SNAP! DW: As I said on the radio show with Jimmy Church, the term "Hanush" appears to be synonymous with "Enoch," as in the Book of Enoch. Very interestingly, the Draco White Royal similarly used Corey to be released from our solar system before the upcoming solar flash -- and was denied. For this reason, I have speculated that "Enoch" is essentially a political term in the ET world that could also be akin to "Diplomat" or "Ambassador." Corey has had many difficulties and threats, and has had a very hard time adjusting to all the strange things that have been happening to him. Then he looked at me and said, "Okay, we are very sorry to have put you through that. We were transferring a recent Draco captive that was a VIP. "We had captured him hours before, in a cavern system deep below the African continent. "Apparently, the Mayans over-estimated their ability to contain him with their stasis technology." He said he wanted to give me more info... but there was, again, no time. Gonzales looked back at me and said, "Allow them to see what just occurred." We were in a cavernous area in which the walls lead up to two separate plateaus, about 90 feet above us. On one ledge I could see tall blonde beings, along with the group known as Ebens. DW: As I pointed out on the radio show, it is interesting to look at this event as being a synchronistic mirror of what we are also seeing here on Earth. We are hearing that many top people have already been brought to detention facilities on Navy ships and even at Guantanamo Bay in Cuba. It therefore appears that similar strides are being made in the "space war" as we are seeing here on Earth. The above VIP witness apparently could have revealed a great deal more of the Draco's plans. It is very interesting, therefore, to see this as a clear indication that the war is being won on both fronts -- both on Earth as well as in space. CG: I did my best to forget the frightening experience with Gonzales and the Mayans and get back into "work mode." In one of these dream-state communications, I was told that I should prepare for a series of meetings with the Super Federation and the "Council at Saturn" in the next few days. DW: It is very interesting that this was the same day that the officially-sanctioned Tom DeLonge UFO disclosure occurred, as I discussed on Christmas. He put a hand on each of my shoulders and asked, "Are you ready for this?" I replied ,"Ready for what?" and went on to tell him that I had no idea what was going on. Gonzales lit up as he smiled, and said "Typical. It's probably for the best. You would be out of your mind with nervousness." I asked "What, no ridiculous purple suit this time?" He smiled and then quickly returned his glance forward, walking me past groups of different beings preparing for the conference. As we walked further into the hall, I noticed that it was unusually full. There was a variety of different beings present that I either hadn't seen in decades or were unfamiliar to me all together. There were five completely different types of Aquatics, three of which didn't have legs or feet, but instead had tails. These beings were making me feel very uncomfortable on an intuitive level. As we walked past them, I leaned over to Gonzales and asked, "Do those Aquatic beings in the water give you the creeps?" He said that they are maintaining a large number of experiments in our oceans, and consequently do not like humans very much. They consider us a cancer to this planet's oceans and wildlife. He said the last thing you want to do is accidentally find yourself in any of the waters they're performing experiments in. Then, suddenly three aquatic beings leapt onto the edge of their life raft, grasping at the survivors. The Pilot and another crew member opened fire, killing all three of the aquatic beings. They left the beings' bodies floating on the life raft. In response, the Pilot pulled the remaining body all the way onto the raft, so as to have a specimen to hand over to the military... if they survived. He stated, "Yes, just like the aquatics, each of them has a field around them that produces their own planet's atmosphere. "There is one around the both of us right now." He looked up at the domed ceiling above us and then down at the deck. He paused and said, "This space station is very advanced and very ancient." "It is able to scan any being that arrives, so as to replicate their biological needs instantly." "It also has the ability to interface with each being on a consciousness level, and facilitate bi-directional communications between all present." I asked "Are you in the chair today, or am I?" He responded, "No, you are up there," while pointing to the speaker's platform. He started to chuckle as I broke my horrified gaze from the speaker platform back to where he was standing. He had a big grin on his face. "Don't worry, how could a meeting between the Super Federation and the Guardians be a bad thing?" He looked around. "Okay, now walk up onto the platform and think to yourself, "I am ready to begin." I asked, "Begin what?" He just sat down without answering me, a smirk across his face. I was starting to get a bit shaky when I figured I would just get it over with. I thought to myself, "I am ready." Tear-Eir addressed me and said "Repeat everything exactly as I communicate it to you," to which I nodded in agreement. I then turned to the delegation once more, and began to speak. I then spoke the words, "We greet you in the love and light of the one infinite creator." At this time, both Tear-Eir and the Golden Triangle being put their palms forward and bowed. I mimicked what they did. I was overcome with emotion. Though I was not crying, tears were streaming down my face to where I couldn't see the assembly very well. DW: I asked him for specifics, and he said there are deliberate protective protocols that create amnesia on these sorts of details. This is in keeping with the Law of One directives on protecting free will. DW: These Super-Federation groups have been taking DNA from all over the galaxy and blending it with us in these programs, super-charging us for Ascension. DW: The Super-Federation beings had believed that they would continue "managing" us for thousands more years after the solar flash. They felt as if we were their creations, not autonomous beings. Thus everyone was very upset in being told they were going to lose all control over us. Tear-Eir then had me say "remember the Ponce System." Tear-Eir then had me state, "Humanity has had much to overcome. In this new phase, this council will soon disband. "Humanity's "Cosmic Family" will assist them in healing and guiding them through the management of their own genetic and spiritual growth. "This council will attend to its members incarnated on Earth, until which time humanity requests that you remove them. "Humanity will be offered an official seat at a new Super Federation Council. "These Cosmic Family members will use their experiences as a part of these programs to help guide this council in further ongoing programs across this Galaxy." Tear-Eir then had me say, "In Service to All, In Service of the One." He walked me back to my original spot, close to the plants, and spun me around. He said "Do you know what this means?" I looked at him and said, "Humanity will not be controlled and experimented on by dozens of ET races who think they are gods?" He smiled and said, "They are the gods from our myths.... But, yes. And it means that the Galactic Federation, which the Sphere Being Alliance is a part of, will now assist us with the Draco Empire. "They will not remove them for us, but will provide support that allows us to clean up our own house. We will really only have to contend with the AI threat until the series of solar events clear them from the Sol System." I was shocked and said, "The Sphere Being Alliance is non-violent; how will they confront the reptilians?" He said, "I think we will have to watch that play out together. After the series of solar events, the Draco will be energetically expelled from this system. "An incompatible energy will emanate from the Sun for about a thousand years. "Many reptilians will try to remain hidden on Earth in temporal fields and within heavily shielded bases deep in the Earth, as they have for prior cycles. "Humans will be responsible for rooting them out of their hiding places. "During that time, the Draco will be unable to return to this system." I asked, "Why for only a thousand years?" Gonzales looked at me and said, "Sounds Biblical, doesn't it? "The Earth is near a Super Gate. Those are quite special. DW: I checked on this data point for The Ascension Mysteries and found NASA data confirming that there is a huge "plasma chimney" near our sun that may head out to a neighboring galaxy. "Cosmic law prevents closing down Super Gates to travel for any certain race. "The only alternative is to block their access to a system the super-gate is near. 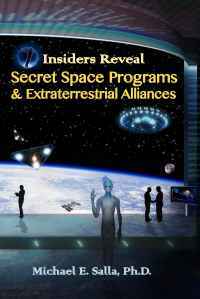 After Humanity has been through disclosure and the solar events, the reptilians will be of little threat." I asked "Who manages this energy field for the thousand-year period?" He stated, "The thousand-year energy fields seem to be a natural part of the cosmic web's cycles and energy flow." He stated that, according to his info, it is "not something set up by Galactic Federation assets."